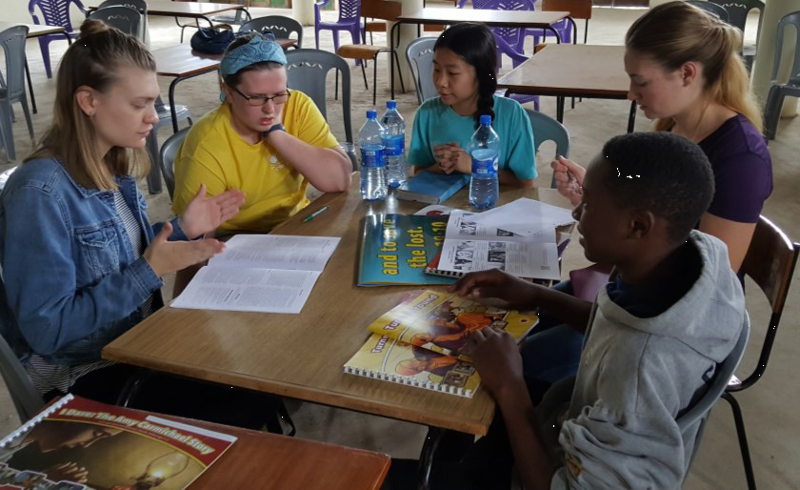 In December 2016, a team from CEF of Pennsylvania spent 11 days in Kenya teaching 5-Day Clubs and vacation Bible schools. Angela Ye and Anne Kelly, who have served as Christian Youth In Action® volunteers in Delaware County, were a part of this team. This trip was life-changing for both. Angela and Anne describe how God impacted their lives while in Kenya. Anne had a unique experience teaching at a 5-Day Club® which was all in Swahili. “I sat in a small, sweltering room packed with children. For a majority of the time I had no clue what they were saying, with the exception of the occasional Naaman coming out during the Bible lesson. I was, however, able to teach the verses in English (which the children understood). After the first day I was glad to be pushed out of my comfort zone.